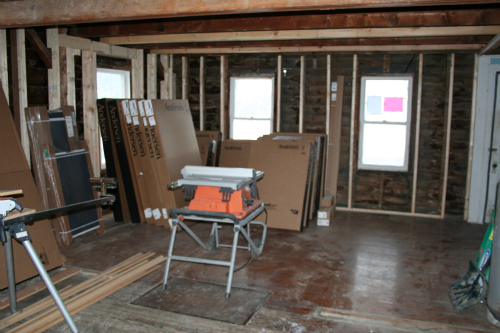 A Stylist's Life: House update-moving so slowly! I am sure you are like me and right about now you are hoping for some house update eye candy- tile choices, walls be painted, bathroom and kitchen fixtures, lighting thoughts. Well if you think your disappointed by these pictures, think about how we feel!! Several factors have added to the extreme slowness, horrible biting cold and constant snow storms have made it hard for the contractor to get anything done, plus he seems to have gone awol at a few different times for no obvious reason. So here we are months after buying and gutting the place with not a lot to show for it. 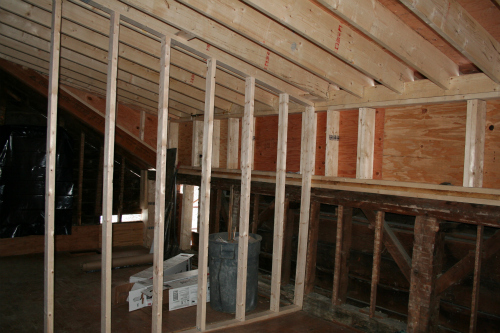 A few things have happened that are important but not very exciting, The walls are furred out and ready for insulation and sheetrock. 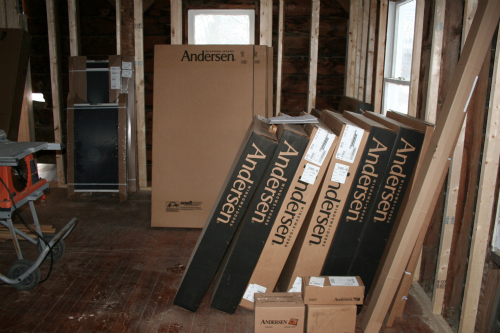 Here are our new windows- would be nice to see them installed instead of in boxes! 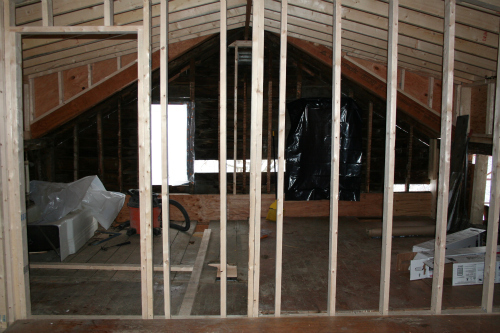 The upstairs dormers are in and it makes a tremendous difference to the space. 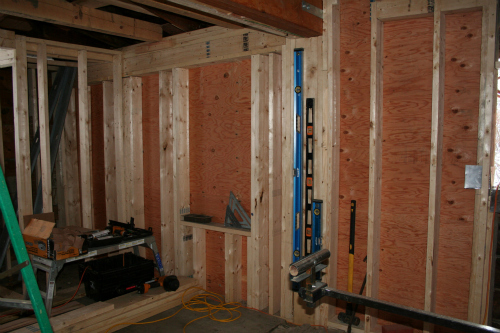 And the framing for the bedroom walls is in place.